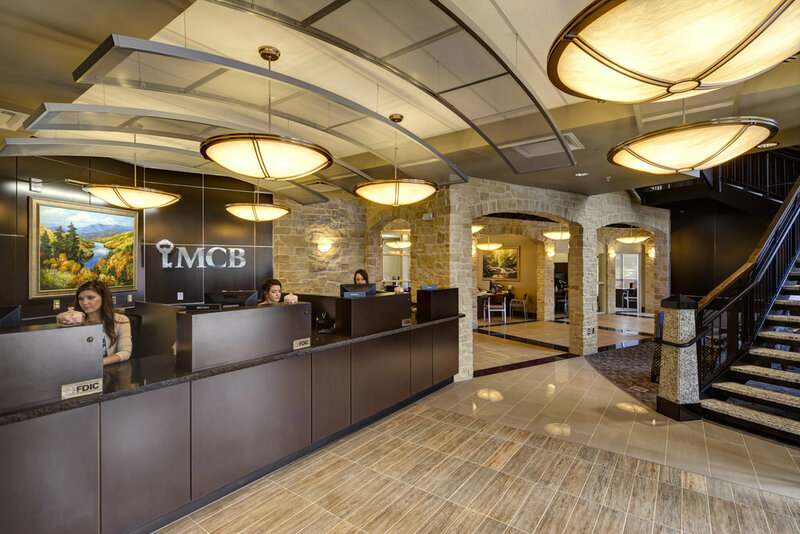 After significant growth in the Knoxville market, Mountain Commerce Bank Commissioned Thomas Weems Architect to provide architectural services for their new 12,000 square foot Bearden Financial Center. 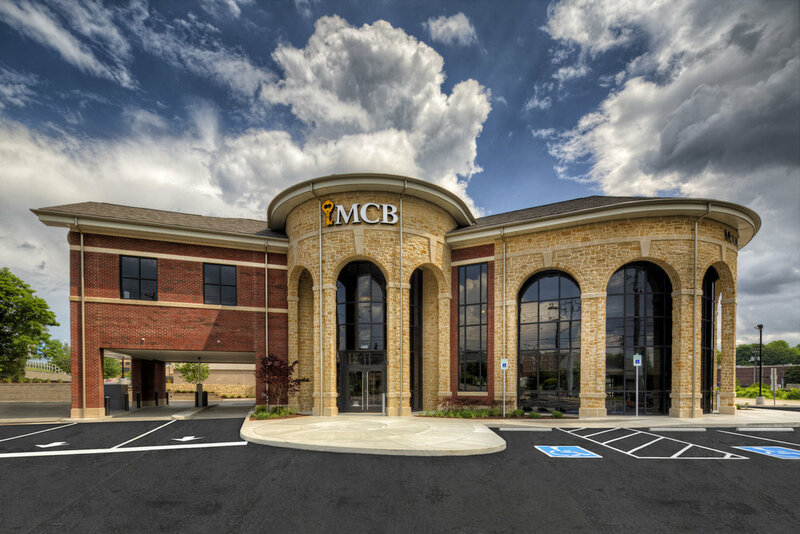 The exterior design blends stone-facade features with storefront to create a contemporary aesthetic while tying in the bank's mountain heritage. 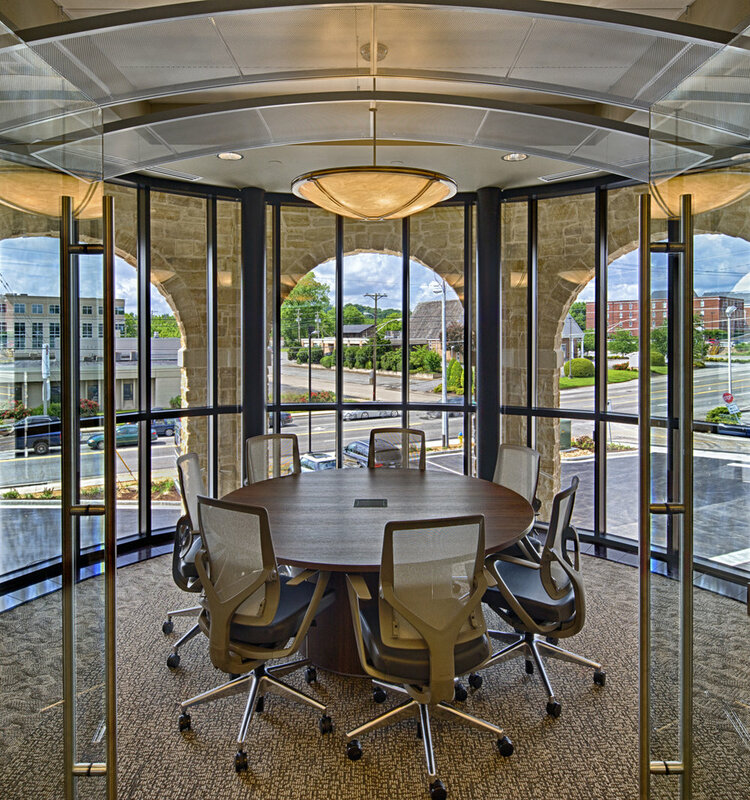 The interior design featuring a lavish entrance rotunda and monumental stair, full-service teller lines, drive-thru services, corporate offices for financial lenders, and a high-tech conference room with adjoining catering kitchen available for community use, the new facility enhances Mountain Commerce Bank's ability to build relationships with customers.